April 05, 2019, 1:06 p.m.
One in eleven (9%) say they have already tried a Class A drug. This figure rises to one in seven (14%) among 18 to 24 year olds and 25 to 49 year olds. Just one in fifty (2%) of those aged 65 and over have taken a Class A drug. 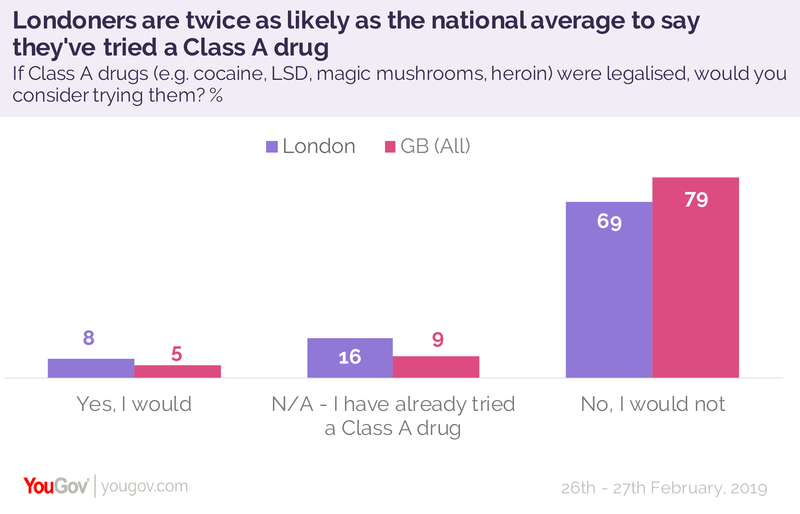 People in London are almost twice as likely as any other region to have tried a Class A drug (16% versus the 9% national average). One in twenty Britons would consider trying a Class A drug if it were legal. However, among these, the only drugs which a majority specify that they would take are cocaine, ecstasy and LSD. And the proportion of people who have already taken cocaine and ecstasy is double the amount who say they would do so if it were legal (47% already taken cocaine, 20% would try; 44% already taken ecstasy, 23% would try) – indicating that although the law is a deterrent for some, most of those interested in these drugs are already trying them regardless of legality. Just over a quarter of those who’ve tried a Class A drug have had LSD (26%), and another quarter would take it if it were legal (28%). However, when asked specifically about heroin, crack cocaine, meth or crystal meth, the majority say they would not try them even if they were legal. One in fifteen (7%) have tried crack cocaine before. Around one in twenty have tried heroin (5%), methadone (5%), or methamphetamine, also known as crystal meth (6%). But three quarters (77%) would not try crack cocaine whether or not it was legal, and eight in ten would not try heroin (79%), methadone (83%) or crystal meth (82%). Respondents who said they would not take a Class A drug even if it were legal were asked which of a list of reasons best described their rationale. The most commonly selected reason was ‘they simply do not interest me’, chosen by three quarters (73%) of respondents. Just over half (53%) are not comfortable with how they could affect their behaviour. 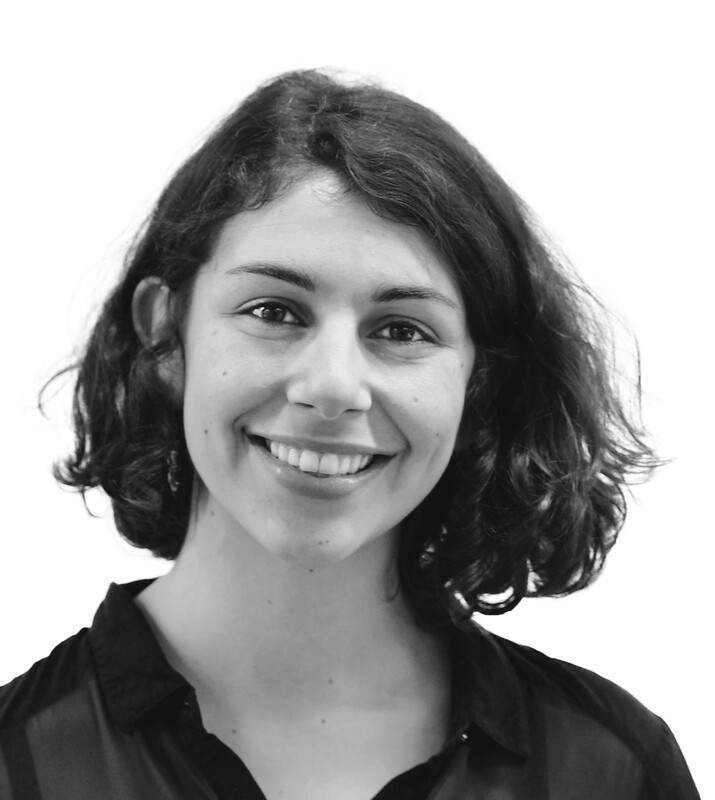 Young people are particularly concerned about this, with seven in ten (69%) 18 to 24 year olds and six in ten (69%) of those aged from 25 to 49 saying so. Around four in ten (44%) cite ‘health reasons’, or that they ‘do not want to support the drugs industry’.